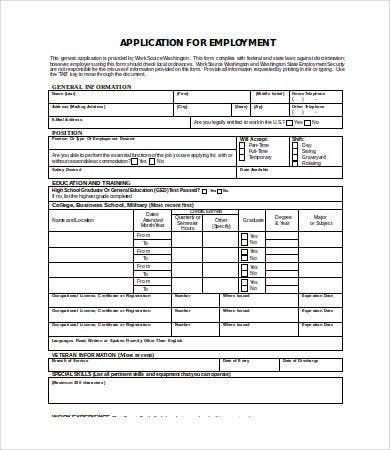 Searching for employment application form templates? 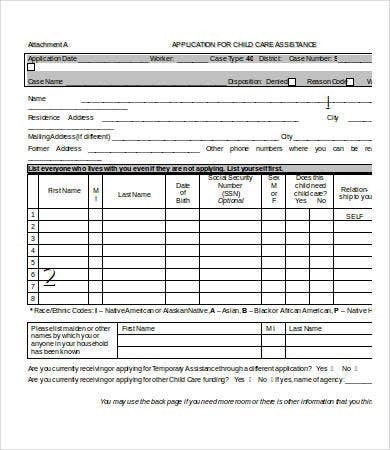 Thank your lucky stars we’ve provided you here a list of templates for those who are in the process of application. 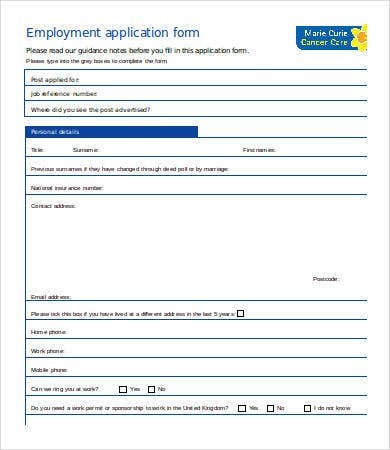 Application forms are not just any other ordinary form. They are significant for the improvement of the recruitment process of the employer. On the part of the one looking for employment, there are also some benefits. We assure you that our templates are original and well researched. They will help you sort out your important data. Hence, save your precious time and start downloading our Application Template samples. Generally, they are used both in the private and public sectors as part of the screening process. They are comprehensive forms because it aims to capture the personal, educational, and professional background of the candidate. 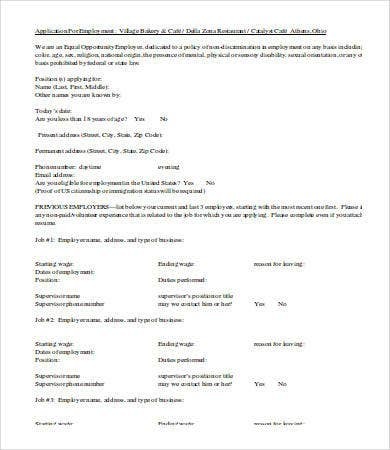 Employment application forms are integral in terms of recruitment. It is more than just a pile of paperwork. An excellent form can enable attract more candidates which can fasten the recruitment process. For some employers, they even use them to assess beforehand how the employee write in terms of spelling, grammar, and usage of language. For a company, they could use a preformatted document or you can download from our list of templates. As a company, you should know what are the trigger points that you are looking for in a certain candidate. Our templates will provide what are the right questions and wrong questions to ask. By sorting out your priorities, an application form can be more effective and efficient. This is important because these will be the bases for your application form. Asking the right questions can simplify the recruitment process by sorting out who among the hundreds of candidates can move on to the next level. Indeed, an application form should aid in the realization of the recruitment’s objectives and not to cause further delay. 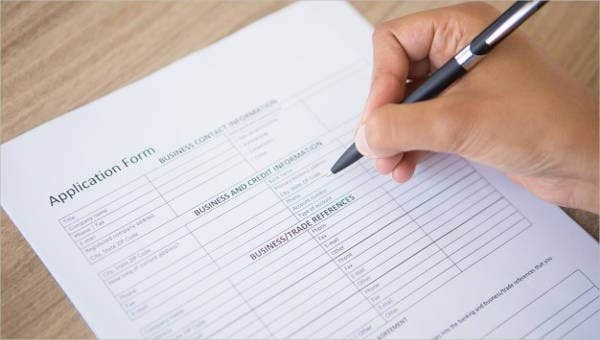 Basic personal details are always needed. 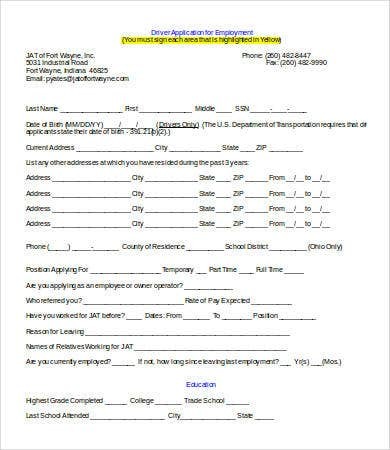 The applicant’s name, address, contact numbers, educational background, etc. 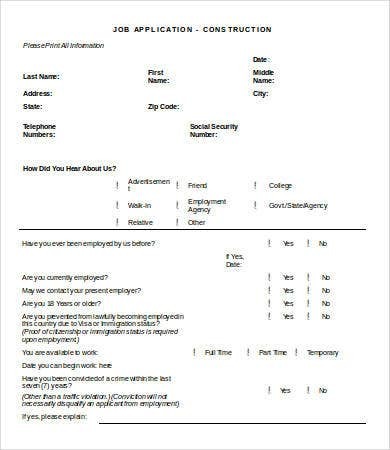 The important things to avoid in terms of personal details are asking about sexist questions or those pertaining to once race, nationality, political views, and religion. Those type of questions are considered a big no in the world of application forms. Work history and career plans for the future are essential information. It is always good to know if the candidate had a good or bad experience with his or her previous work. You are not judging them but trying to know what are the principles of the applicant took into account in rendering a decision. The question to avoid are those pertaining to confidential information about the employee’s previous job. Learning about applicants’ personalities is important. Encourage the employee to express their views about certain concepts such as work-related stress and what are their coping mechanisms. These are just some of the questions that you may ask. 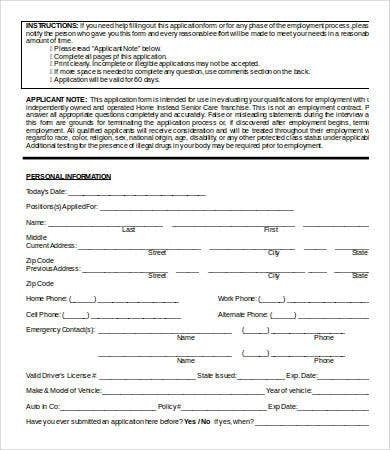 Hence, our templates will help you elevate your application forms. If you’re interested, you can also try our Volunteer Application Template samples.